The “F.I.L.M. of the Week” exposé of some unconventional animated movies wraps up this week with a look at “Persepolis,” the film adaptation of Marjane Satrapi’s graphic novel of the same name. It’s a very different kind of coming-of-age story, mainly because the struggles of growing up are only magnified by the struggle of a country to find stability. The movie is an autobiographical account of Marjane’s youth against the backdrop of the constantly changing political climate of Iran. But Marjane, even from a young age, has the perfect weapon to fight even the most repressive of regimes: resilience and high spirits. She loves many of the Western items and concepts that the fundamentalists can’t stand, from Bruce Lee in her childhood to Michael Jackson in her adolescence. In the ’80s, these luxuries are only available through the black market. But no government is going to stop her from getting what she wants and expressing the way she feels. 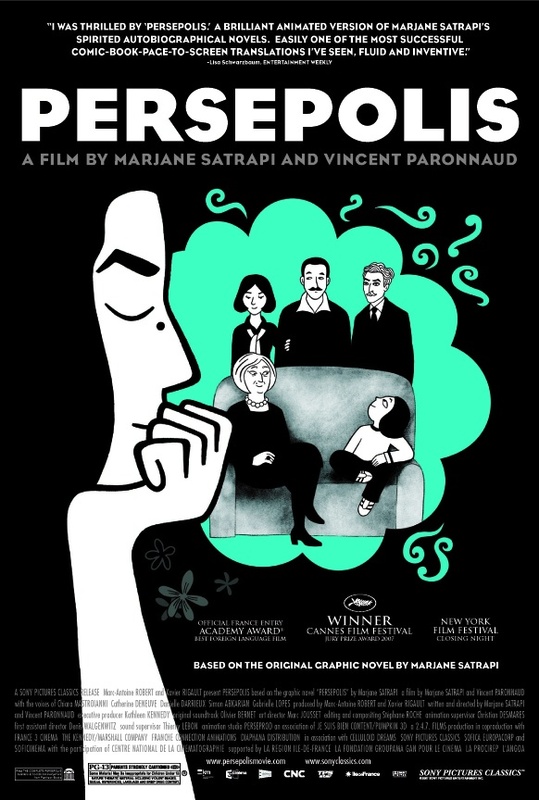 “Persepolis” begins with Marjane at 9, firmly under the belief that she will be a prophet. She’s a truly entertaining character, always filled with sass and never reticent to share it with the world. Yet as a younger child, she’s completely susceptible to buying into whatever the latest trend her generation has bought into. At one moment, she’s marching around her living room chanting “Down with the Shah!” The next moment, she’s threatening the child of a government official. Marjane’s outspoken nature draws her a lot of attention, and her parents ship her away to Vienna for schooling. As the popular saying goes, “Once you leave home, you never really come back.” She lives the rest of her life happy to be away from the turbulence of Iran but missing her family and country. “Persepolis” is a beautifully woven story told with a very emotionally potent black-and-white animation. It brushes on some tough topics, but it does so with the perfect mix of levity and gravity. At times, it’s hilarious; others, it’s heartbreaking. Yet at all times, it’s a delightful movie with a heart bigger than the country it documents.